8.9 miles, 3:00 hours, 454 m highest point. 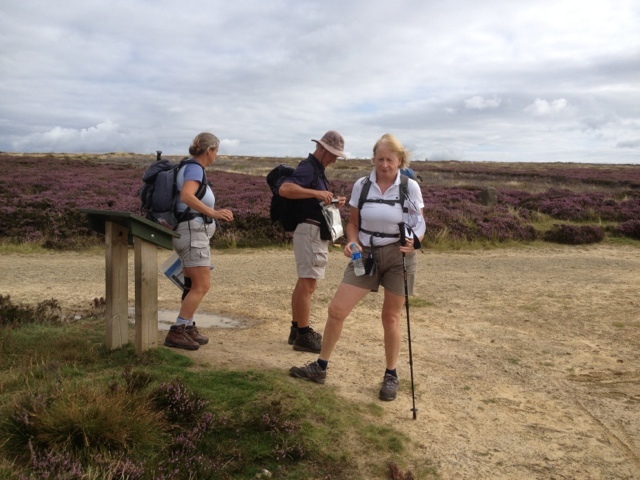 Day 12 of the walk. 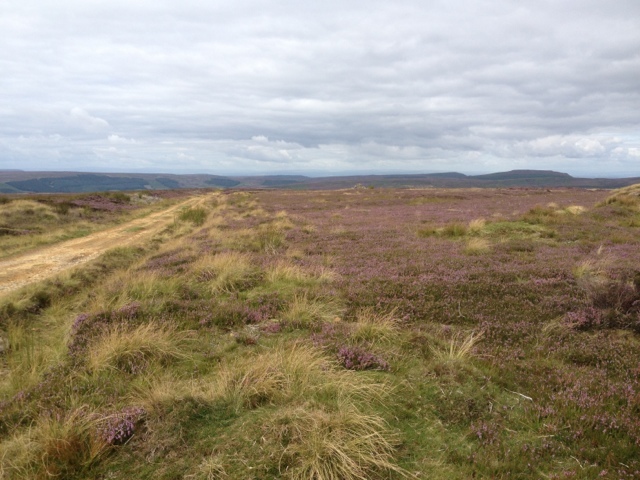 Clay Bank Top to Blakey Ridge across the N York moors. 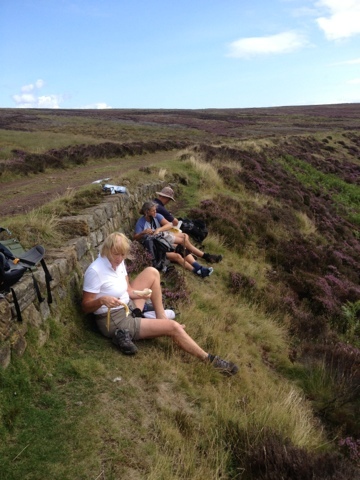 Easy 9 miles along old railway track with only one 200m climb at the start. 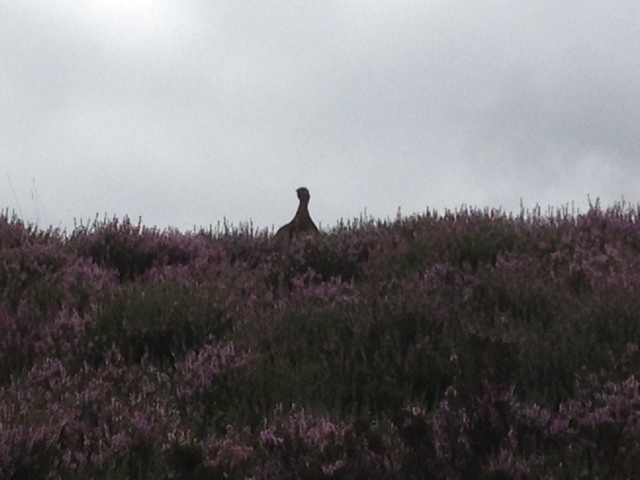 Saw several grouse. Great walking weather again, cloudy but warm. Afternoon free to relax and read. Checking the information board and working out exactly where we are. Ever get that feeling you're being watched. We saw a number of grouse along the way. I have better pictures on my camera - these posts are being done using low grade iPhone snaps. Most of the walk was along a dismantled railway line which made for easy walking. We found a suitable embankment for our mid morning coffee break. 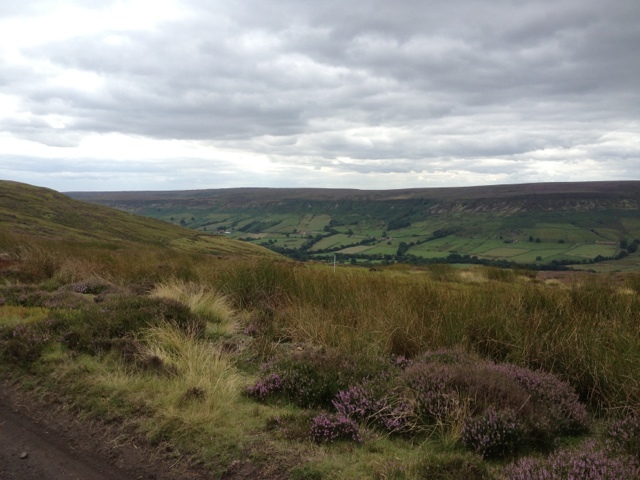 The view over Farndale for the last leg to the Lion Inn. The only accommodation for miles around. A lunchtime beer and an afternoon off. Supper in the pub - where else?